Darla Cavanaugh is an inhabitant of Jackson, Mississippi, finding it tough being the widow of a famous NFL football player. As if that’s not bad enough, she also a Yankee trying to fit in below the Mason-Dixon line, a Philadelphia police officer attempting to become a Southern one. Darla, however, is smart enough to stay out of the limelight and let others take the credit for the crimes she solves. When the Reverend Jimmy Aldridge, proponent for House Bill 674, which would close any abortion clinic in the state, a very vociferous protester against the one and only clinic in existence, is murdered, the clinic’s physician Stephen Nicoletti becomes the chief suspect. Ignoring the fact that the Reverend Jimmy had a large amount of unsubstantiated cash in his possession and investigation proves it came from extortion and was headed for a house of the most ill repute, Tommy’s determined to prove Dr. Nicoletti guilty. The doctor’s being Italian doesn’t help. Dr. Nicoletti has an alibi but he refuses to give it because it concerns a patient. In a town where everyone knows everyone’s business, dating back several generations, and an outsider is viewed with distrust for exactly that reason, Darla comes up against small town prejudice and holier-than-thou attitudes from some who shouldn’t be casting even pebbles much less stones. Far away from Jackson, however, doctors in other abortion clinics are turning up dead. With the help of Uther Pendragon Johnson, an IT intern from Jackson State, Darla intends to find out if there’s a connection and in doing so uncovers a conspiracy, while discovering herself romantically drawn to her chief suspect. . . .
Now domestic terrorism enters the picture. As an expatriate Southerner, I found the depictions in this story hitting very close to home. The characters are the standard clichés—the Good Ol’ Boy, the Low-key Sheriff, the Interloper Yankee—but author Cusick gives them that deft little twist making them into something more interesting. He takes this tale of the hypocrisy of the powerful and weaves it into an entertaining police procedural and an emotional love story. 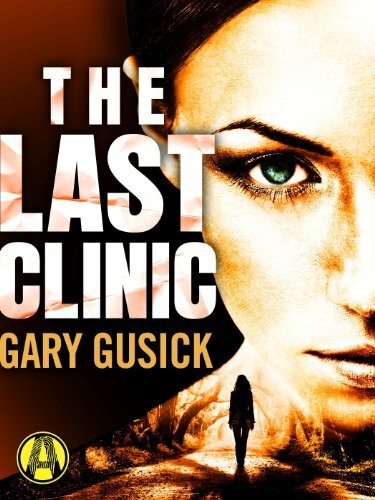 The Last Clinic is part of a series and is a good introduction to Detective Darla Cavanaugh.